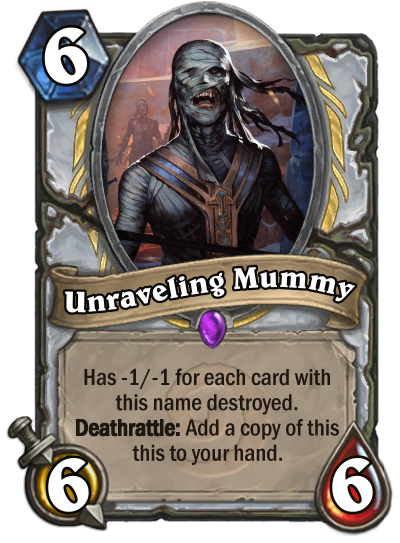 The idea of these cards are, that the League of E.V.I.L. 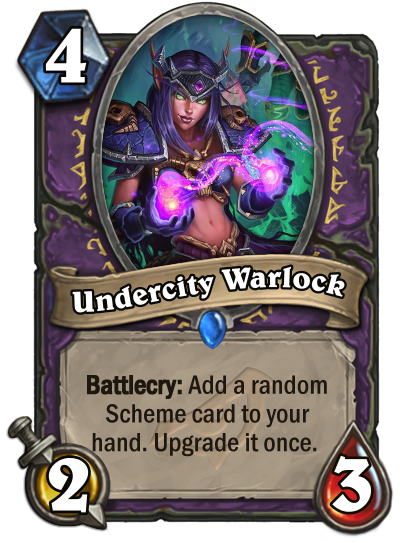 send in their spies in different part of Dalaran. 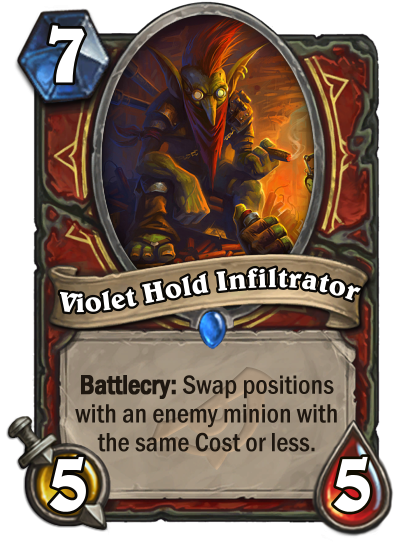 In this case, Dr. Boom sends his spy to The Violet Hold, where as King Togwaggle sends his to The Underbelly. 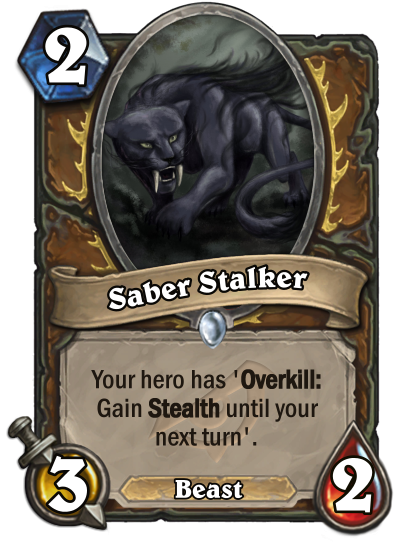 The idea is sort of similar to the Tar Creeper , Tar Lurker and Tar Lord theme. 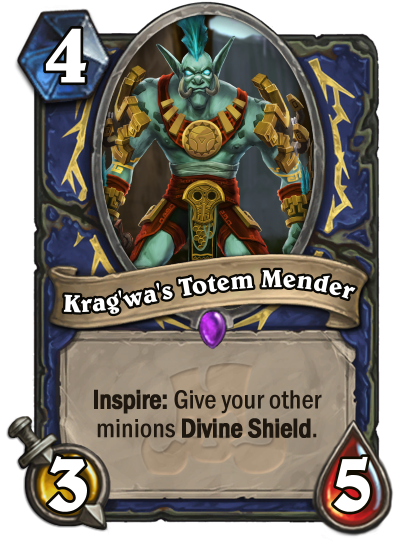 Even though these have the same card text, they serve a different purpose given their different mana cost. 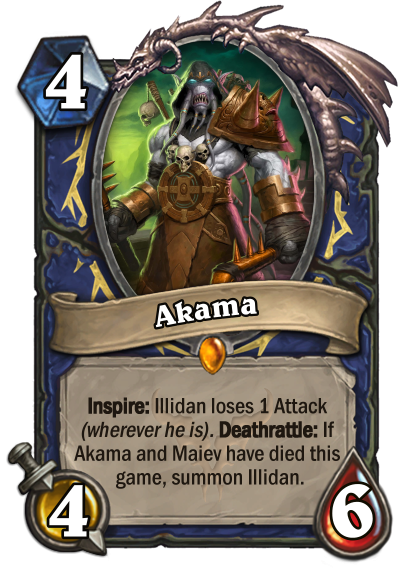 They might be a bit too strong, and I might rework the power level a little. 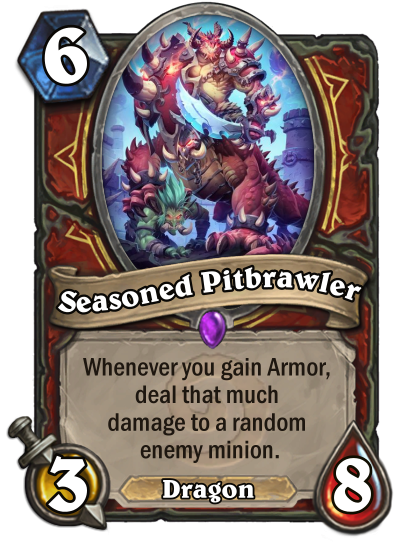 EDIT: Gave both cards +1/+1 to decrease the power-level, and changed the art of the warrior card. 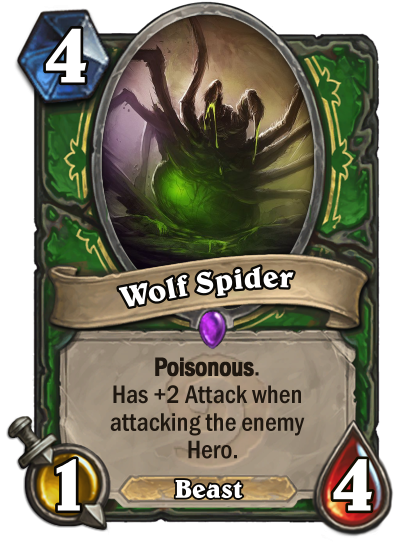 Hunter: Either a 4 drop 3/4 that attacks face or a poisonous Beast that kills smaller minions and survives (or big ones of course). Here we go. 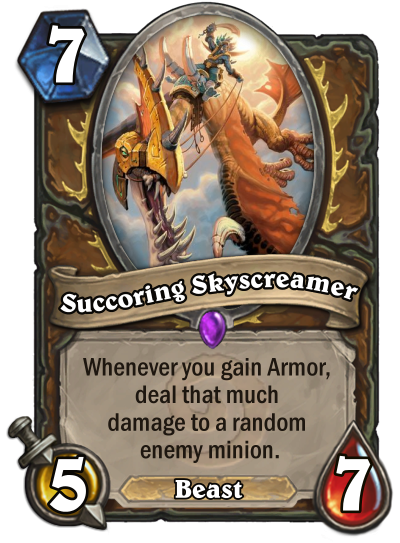 Some minion support. 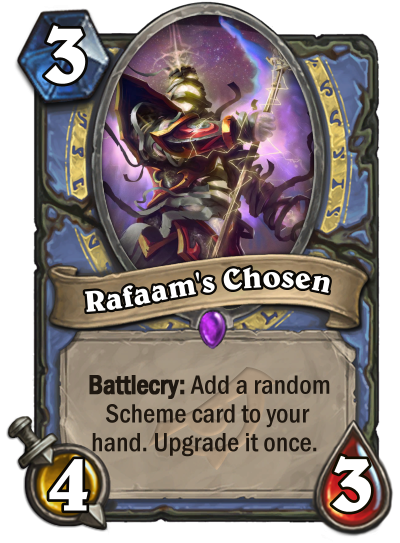 They are there to support both odd pally and even shaman respectively. 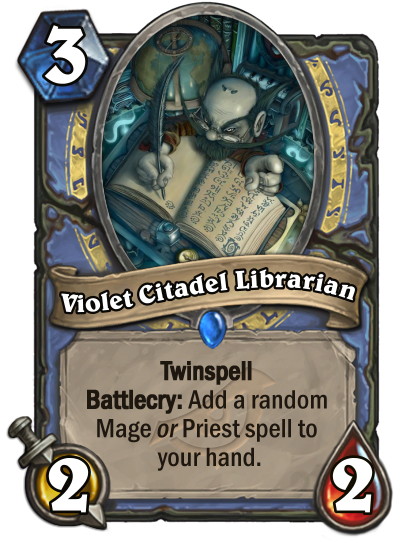 Archivist Elysiana always took away ALL his favorite books on Karazhan. 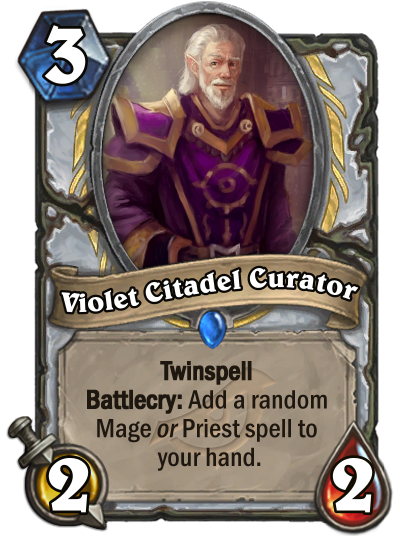 He still have a grudge with Curator Newhearth for NOT teleporting his room the last time Dalaran move. 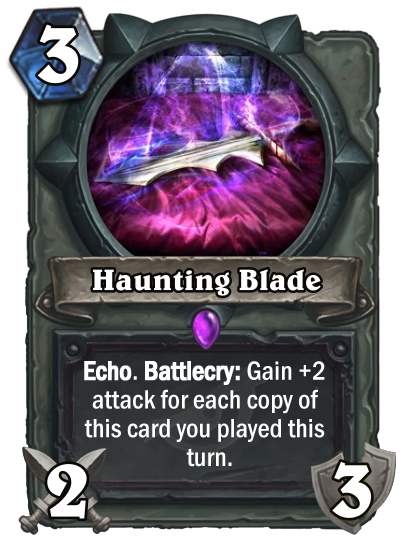 Since the new expansion coming next month, I decided to create two cards inspired from the whole villain theme of the Rise of Shadows Because it brings the new scheme card mechanic, I decided to make those cards utilize it in a way that could make sense. Enjoy! 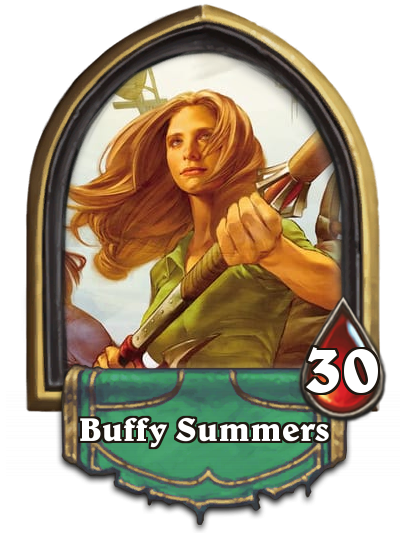 Card flavor text: "His master told him almost everything he knew, cause he didn't want to end up getting killed in his sleep"
Card flavor text: "She likes conspiracies - and Felhounds. 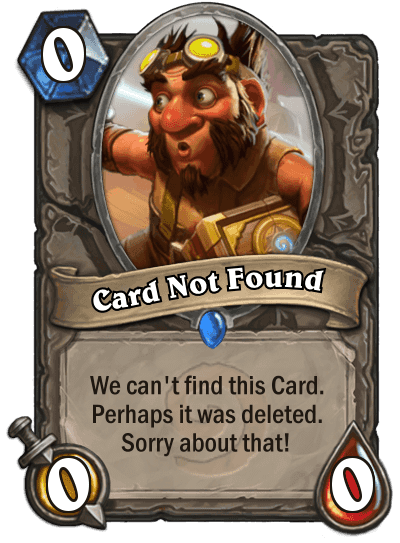 But mostly conspiracies"
My goal was to create cards with wildly different usage. 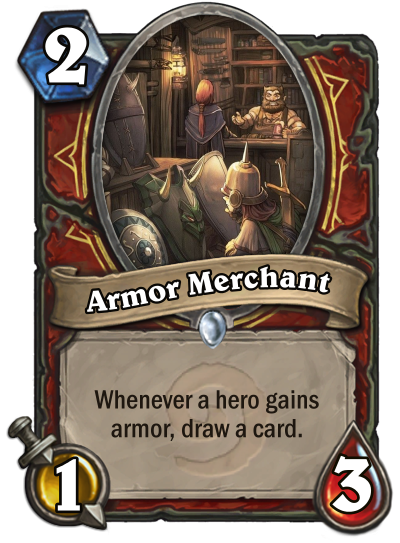 Armor Merchant has obvious synergy with armor gain, while Aim at the Weak Spot is a tech card meant to discourage the opponent from stacking tons of armor (the spell's effect works for the remainder of the game), giving Rogue a fighting chance in those matchups. 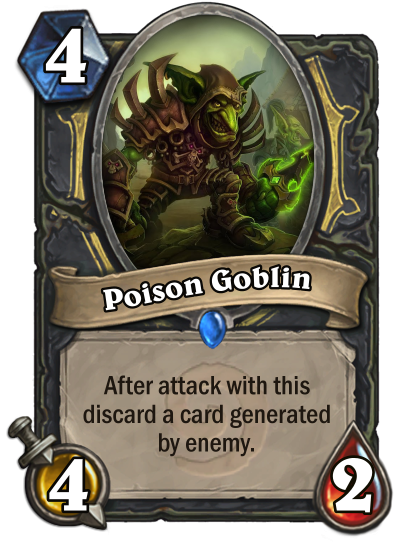 I haven't seen anyone attempt the minion + spell combination while also including proper hearthstone verbiage. 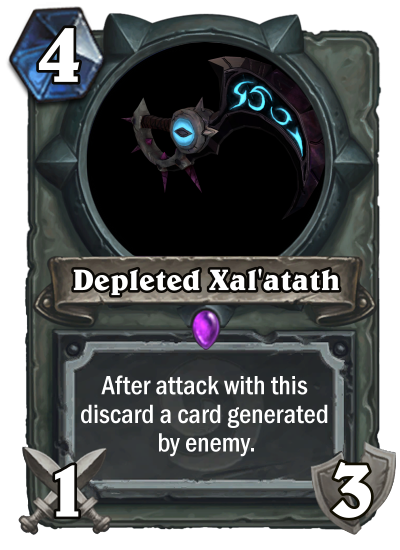 To accomplish this, the end of turn effect made the most sense. 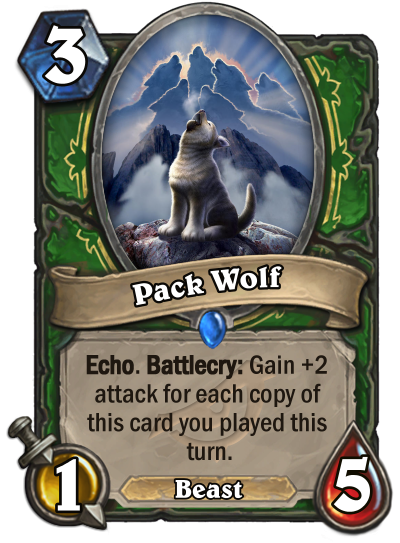 For hunter I made a 2 mana spell with an Echo effect that grants you coins only at the end of your turn. Essentially, similar to Wild Growth , you can have a worse turn now for a better one later. 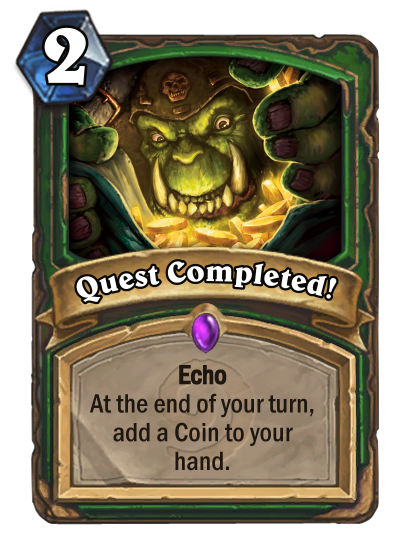 This also synergies well with Zul'jin in spell hunter as you would get more coins and more mana the turn you played him. 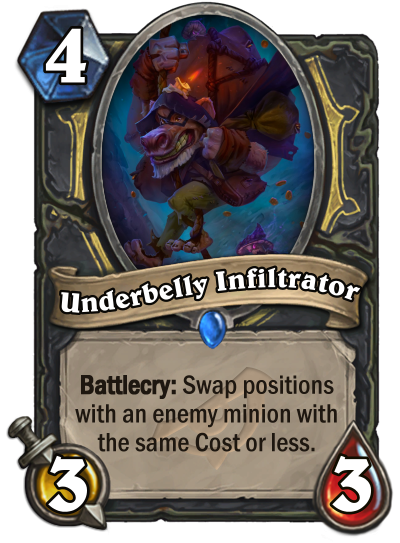 "Who knew I could get paid for doing nothing on a turn!" 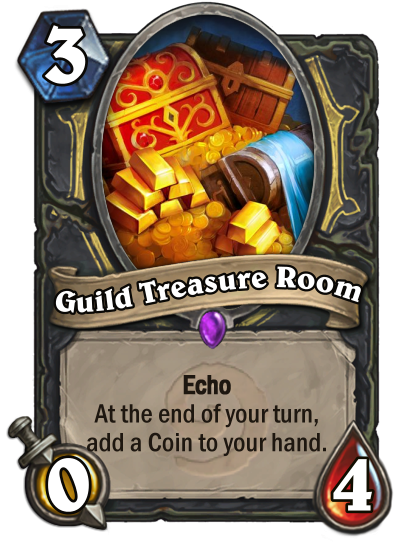 For rogue I created guild treasury rooms which generate coins for you at the end of the turn. 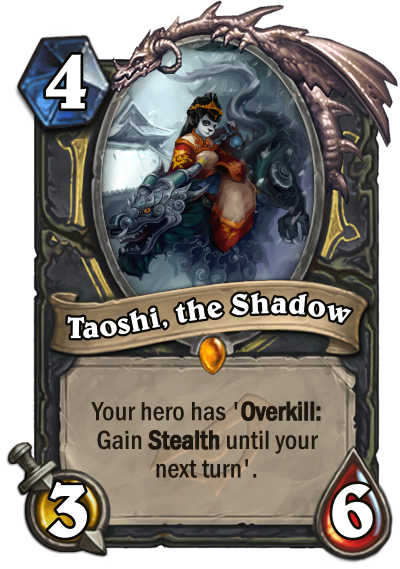 Rogue have great tempo plays, some already including coin generation such as Tomb Pillager . 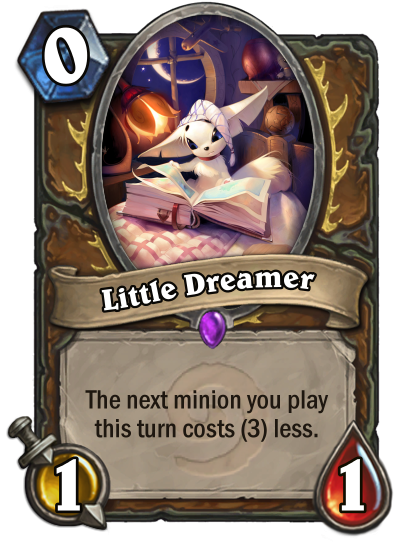 However, being able to create a large number of coins at once allows for interesting big plays such as with Lilian Voss . 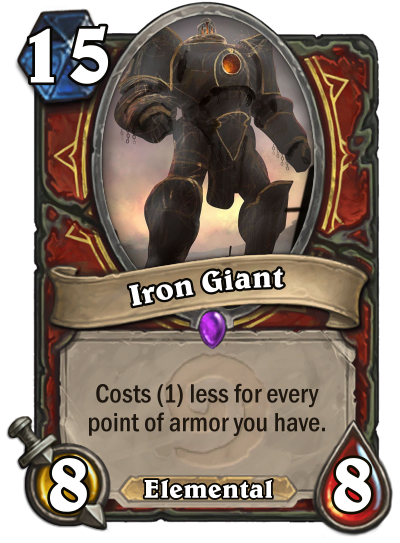 "The guild better pay this repair cost..."
The purpose of these cards is to make your hero protect your board for a whole turn, so that you can concentrate on buffing your minions and making favourable trades. 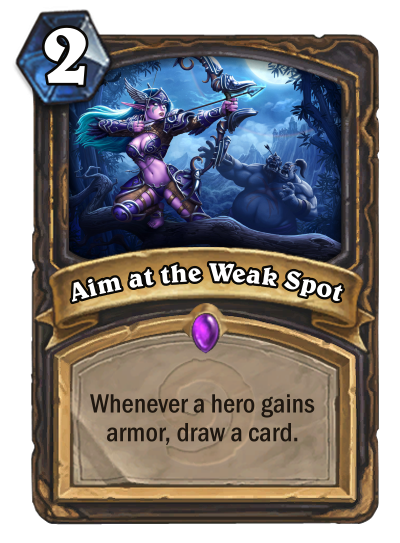 Both of them are good in the early- and mid-game. 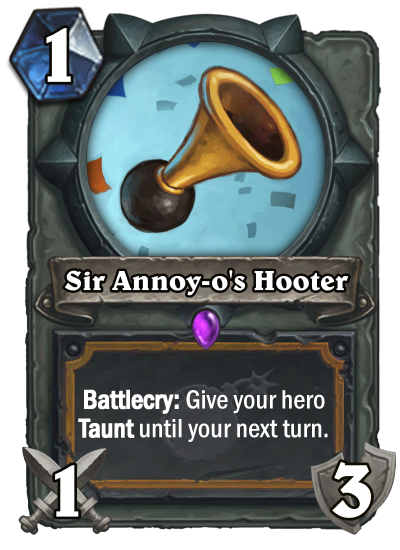 The taunt effect is only temporary, so that your opponent won't play from a handicap position forever. 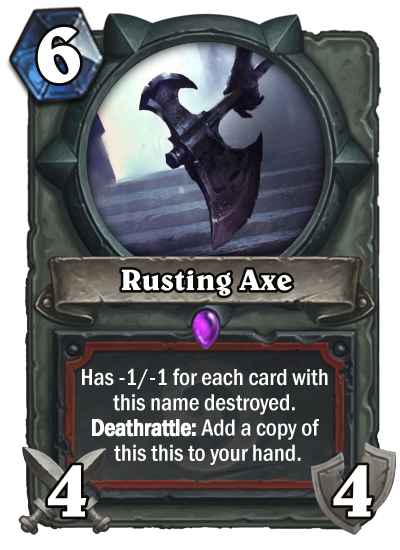 Silence and board clear effects work as normal. 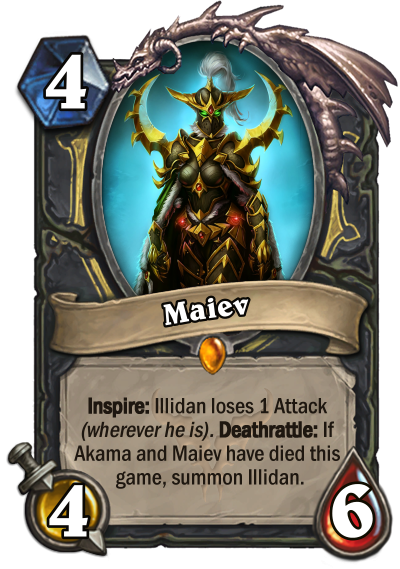 Regarding this week's competition, I would argue, that both of these cards fulfill different roles. 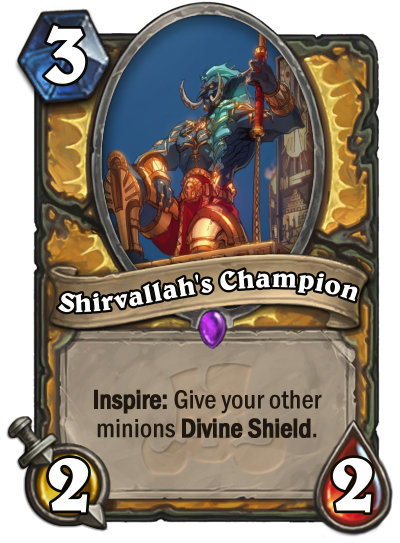 While it's true, that they both try to protect your board, the paladin weapon leans towards the control-ish side. 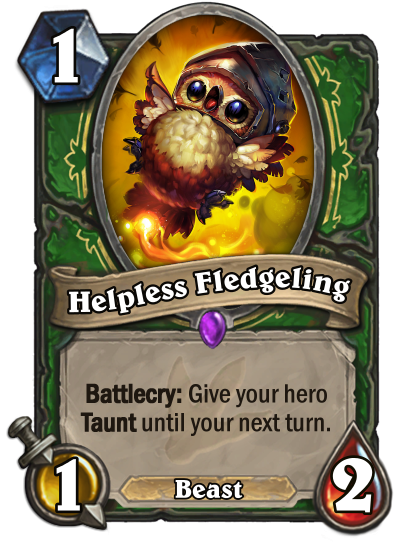 It doesn't offer any tribe synergies (like the Fledgeling), but it synergises with the class's healing tools. 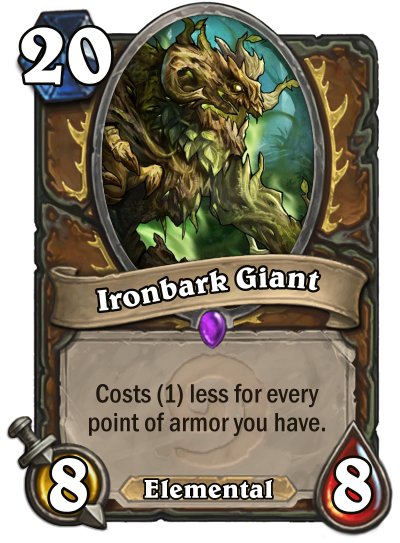 And in this regard healadin gets a nice buff. Big thanks to Lathy for helping me balance the cards. 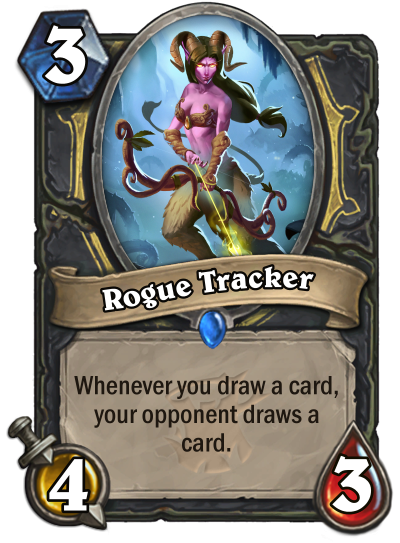 Mill Rogue was a prevalent archetype before the Hall-of-Fame'ing of Coldlight Oracle, and Rogue Tracker offers a new approach to replace it. 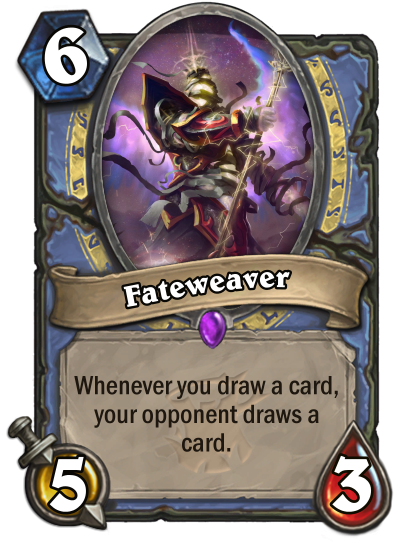 On the other hand, Mage has a considerable amount of draw power, and could very well find itself a new win-condition with Fateweaver. This is a collab. with my girlfriend (doesn't have an account here). We tried really hard to avoid Hero Powers, since that felt a bit like the obvious thing to do. 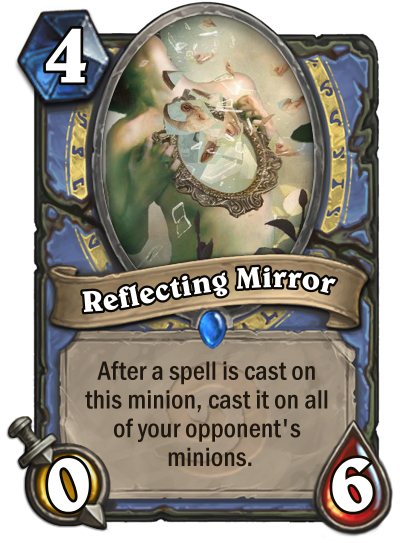 The idea here is that Mages will destroy their mirror to AOE their opponent's board, while Warriors have a threat that their opponent will struggle to remove with spot removal/direct damage. 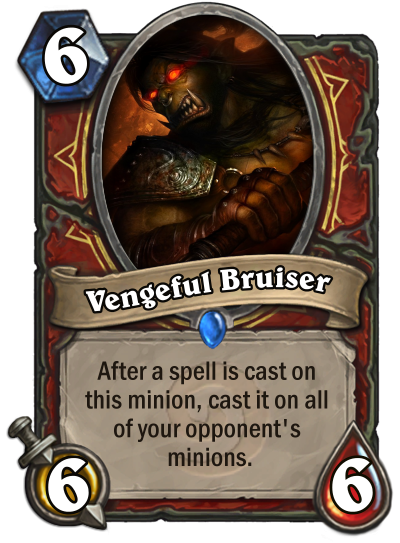 Warrior has the fewest direct damage spells, so they are very unlikely to be able to use this the way Mages will. 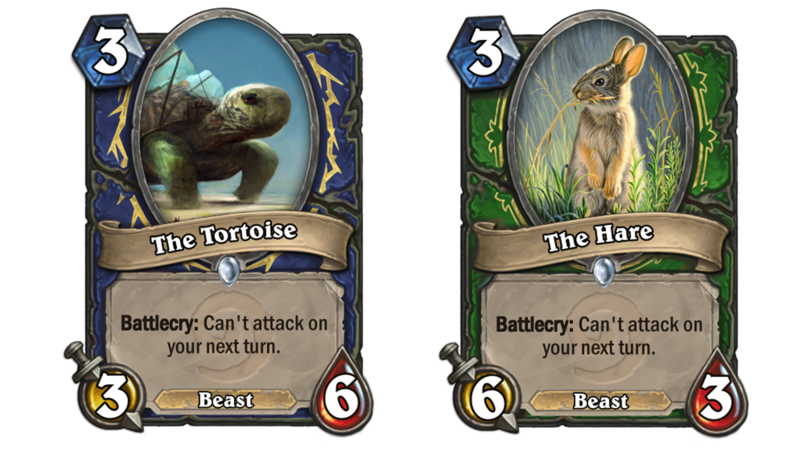 The Tortoise can't attack on the next turn because he is slow. 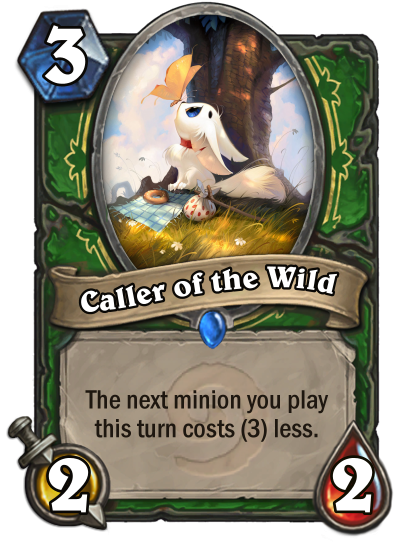 The Hare can't attack next turn cause he took a nap. Idk, kinda weird, but I hope you like it. 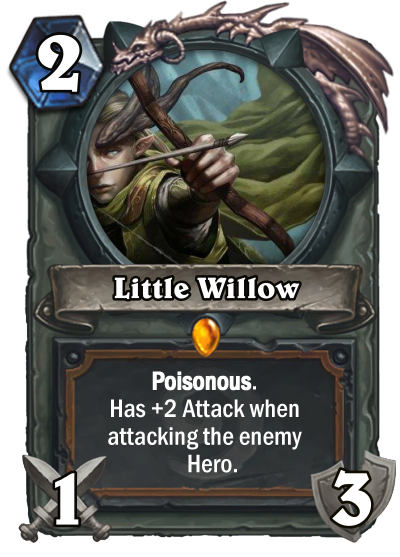 Based off the card Preparation , I decided to make one for minions. First time submitting to one of these!